OHL Plays of the Week. Tyler Tucker at Number 4. #OHL - Very Barrie Colts | A website covering the Barrie Colts of the OHL. 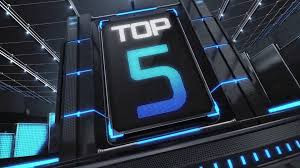 The OHL released their top-5 plays of the week from last week. Tyler Tucker made the number 4 spot with this beautiful goal from the Barrie Colts 8-2 victory over the Guelph Storm on Saturday. Tucker finished the night off with a goal, a (+4) and 4 shots on goal. Tucker now has 7 goals on the season through 25 games. In his first 2 seasons he totalled 4 goals. Here is a look at this week's top plays.